Lists of the “best places to go” are created and shared year after year after year. They’re normally full of tropical beaches with endless white sand and the bluest water you could ever imagine, or maybe a little “up and coming” town that nobody has heard of but it’s included because it will make that list in particular different from the rest of them. At least these are the places that I always see when I read those lists. But, really, those aren’t reasons to visit those places in a specific year. Any year (or day or month, for that matter) is a good year to visit a tropical beach. Those little towns are always there, you just have to do a bit of research to find them. So, what kind of places made our list, then? Places that actually have something going on in 2019. Something that won’t happen every year. Something that will change how a place operates compared to every other year. Something that just makes a difference. France is a beautiful place to travel to at any time. You can go skiing in the mountains during the winter, you can lie on a sandy beach during the summer, or you can attraction-hop your way around Paris to see the Eiffel Tower and the Louvre. So, what makes it so special for 2019? They will be the host for the FIFA Women’s World Cup! Women’s football is slowly gaining popularity through the years, and a big tournament such as this always creates a great atmosphere. 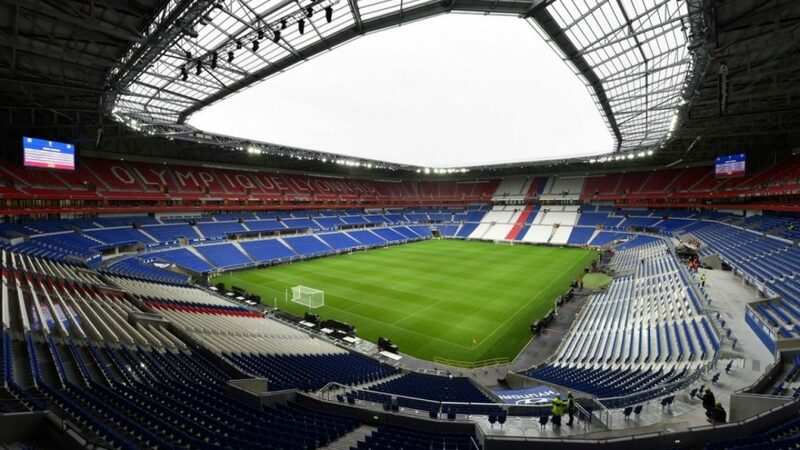 They will be hosting the top 24 teams in the world throughout the months of June and July, with games being hosted around the country, including places such as Paris, Nice, Montpellier, and Lyon. It’s the perfect excuse to go check out a new area of a big country where everyone else usually just focuses on the capital city. General seat tickets for the event come on sale soon – I’m counting down the days until I can buy tickets to support Team Canada! Singapore is a popular place to fly to, whether it’s as a final destination or to catch a connecting flight. In fact, over 62 million people flew through the Changi Airport in 2017, according to Wikipedia. And this airport is exactly why Singapore has made our list this year. A $323 million upgrade has been happening over the last three years, and it’s finally set to be completed about halfway through 2019. What does this renovation include? It pretty much means that you can do anything you could ever imagine while having what can usually feel like an endless layover. Want to take a stroll through an orchid garden? Done. Want to immerse yourself in a video game to lose track of time? No problem. What about go for a walk through a beautiful sunflower garden on a rooftop, while getting a great view of the runway where you can see the planes taking off? Sorted. 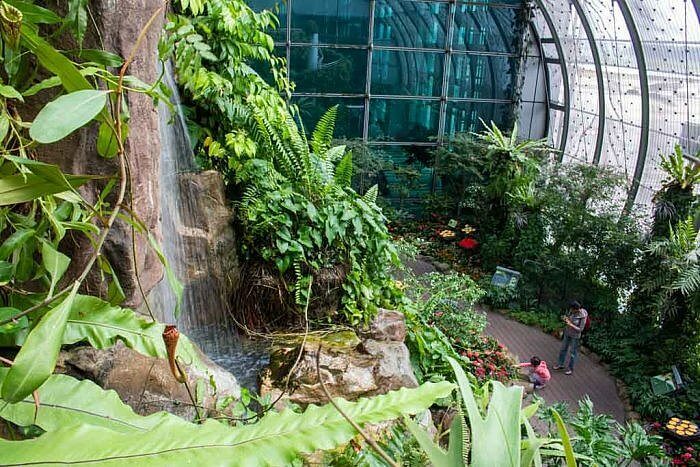 While you’re at it, don’t forget to check out the butterfly garden, watch a movie in the theatre, take the kids to the indoor playgrounds, or to book yourself on a “quick” tour that takes you into Singapore to see a few of the biggest highlights and back. Check out their website, and they’ll lay out all of the possible things you can do, depending on the length of your layover. We haven’t been to Singapore yet, but when we do go, we’re going to make sure we have as much time as possible to check out this amazing airport! It’s like a holiday all on it’s own. And no, we’re not affiliated with them. We just think it’s a great idea and that all airports should think about doing the same thing! Ah, the land of chocolate. That reason alone makes it a worthwhile destination but, as promised, there’s a specific reason why Switzerland makes our 2019 list. And that reason is the Winemakers Festival. I know what you’re thinking, because my thoughts were identical to yours. Wine in Switzerland? Did I read that right? 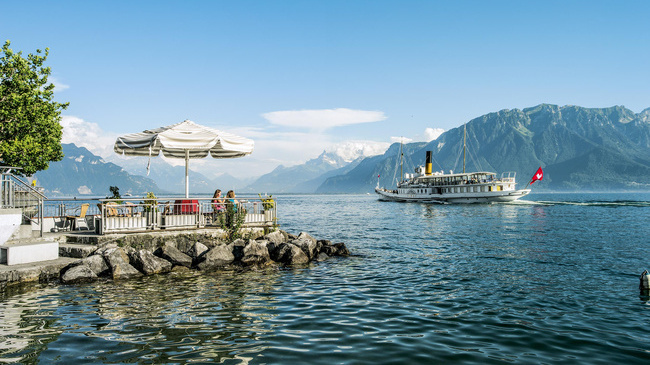 The district of Vaud, which is located in the mountains near Geneva on the western border, hosts the festival that takes place about every 20 years. Yes, you read that right as well. Every 20 years. Now if that doesn’t put Switzerland on a top places to visit list for this year, then I don’t know what will. The Fête des Vignerons, which officially began in the year 1797, runs for about three weeks starting from the 18th July, and they’re building a huge stadium solely for this event. How many people does a stadium need to hold to have a successful, once-in-a-generation event? 20,000 apparently. The event is set up to celebrate everything surrounding Swiss wine. A production is put on that shows the long and thorough process of making good wine, including growing the grapes and the harvest that follows. This story starts small and is told through the eyes of a little girl, who is learning from her grandfather, but it stretches into a full-blown show that will have more than 2000 performers being on the stage at one time. The thousands of performers and the thousands of spectators who all gather to celebrate their local wines will create a great vibe in the Swiss countryside. Even if you can’t attend the show itself, it’s still probably worthwhile to visit for the atmosphere itself, and to sample the wine that’s being celebrated on such a large scale. The tickets for the show range in price from £30-£280, with discounts being given if you buy tickets for the dress rehearsal performance. Well worth a trip to Switzerland, we think. Our trip to the Grand Canyon a few years ago. 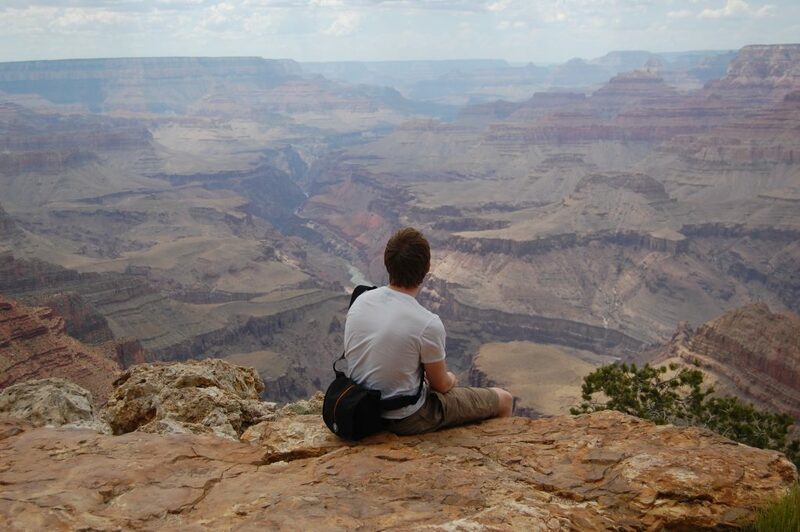 The Grand Canyon is a jaw-dropping sight to take in on the worst of days. I’m just going to say this now: make sure you go here. At any time, during any year. But, if you can help it, make sure you go in 2019, because the Grand Canyon will be celebrating it’s 100th anniversary! The Centennial of the Grand Canyon becoming a national park is officially on 26th February, and it will be celebrated with cake, a concert by a local choir, and, of course, a giant birthday card that all attendees can sign. Other programs that will be running include learning about the animals that live in the area, being able to go on a tour through the area where the Kolb brothers used to live and run their photography studio, and learning about geology. I’m sure that other events will continuously be added to the list over the coming months as well, so keep your eye out for these on their website so you don’t miss out. This country has been gaining popularity amongst tourists over the last few years. It’s dramatic and isolated countryside has been a pull for many people, along with wearing a mud mask while visiting the Blue Lagoon. Five years ago, a new reason started to attract people here. The Secret Solstice Festival started. Now we’ll admit, this one doesn’t exactly fit in with the rest of our list. This is an annual event, and we really did try to stay away from listing any of those. But something called the Secret Solstice that takes place in Iceland, and is only in it’s fifth year running, was something that we couldn’t ignore. This contemporary music festival takes place just outside of Reykjavik each year, and showcases some of the best talents from around the world. It’s celebrated over one weekend near the end of June, but this one weekend is memorable in it’s own way. The name of the festival sort of gives it away, but it’s the same weekend as the summer equinox, meaning that the midnight sun will be present throughout the festival. This means 96 hours of straight sunlight. You can also add in a tour inside of a lava tunnel, or go to a party inside of a glacier. And if you’re feeling like you really want to treat yourself? Go all out and spend a million dollars on the most expensive ticket, which includes full access to everything for six people, a private jet to take you to the event, a private yacht party with some of the performers, and a helicopter tour over glaciers. And that doesn’t even begin to skim the surface of what’s included. Whether you’re a millionaire or not, I think you can understand why I just had to include this annual festival onto our 2019 list. Our photo from the beautiful Lake District. This small country is packed to the brim with history. 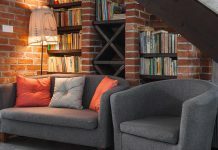 It’s ruled many, many countries in the past, is famous for the old stone walls and castles that dominate the countryside, and is synonymous with a few different sports. And cricket just happens to be one of these sports. And that’s the reason for England making our 2019 list (no, we’re not being biased because we live here!). England (and Wales) will be hosting the Cricket World Cup this year, which only takes place every four years. The cricket grounds that will host the games are spread around the country, including London, Manchester, Bristol, and Leeds. This will give people the chance to see lesser-known areas of this beautiful country, and areas that are definitely worth seeing. 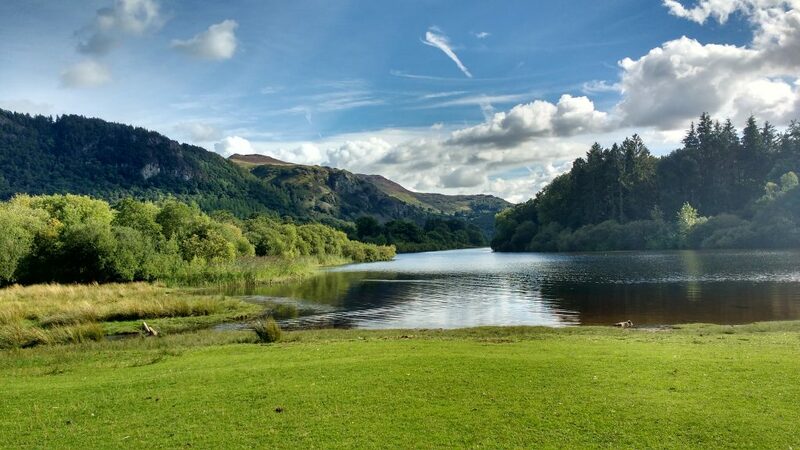 If you get tickets to a game up in the north, make sure you make stops at the Lake District and along Hadrian’s Wall. If you get tickets down south, make sure you check out the sunny beaches in Cornwall and the adorable thatch-roofed homes in the Cotswolds. Pair all of that up with the best cricket in the world, in the home of cricket, with a real ale in your hand and an order of fish and chips? You’ve got a great summer ahead of you. 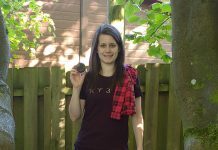 With the games starting in late May, and running through June and half of July, you can hope to expect beautiful sunny weather in the usual rainy England (disclaimer: don’t hold me to that, unfortunately I have no control over the English weather and have learned the hard way that warm, sunny days can’t be predicted). If you’re not cricket fan, or if you don’t even know the rules of the game (guilty over here), it’s still a great day out. Come for the cricket and stay for the surroundings, or come for the surroundings and stay for the cricket. It’s a win-win situation either way! Every five years, Germany is the host to Documenta. 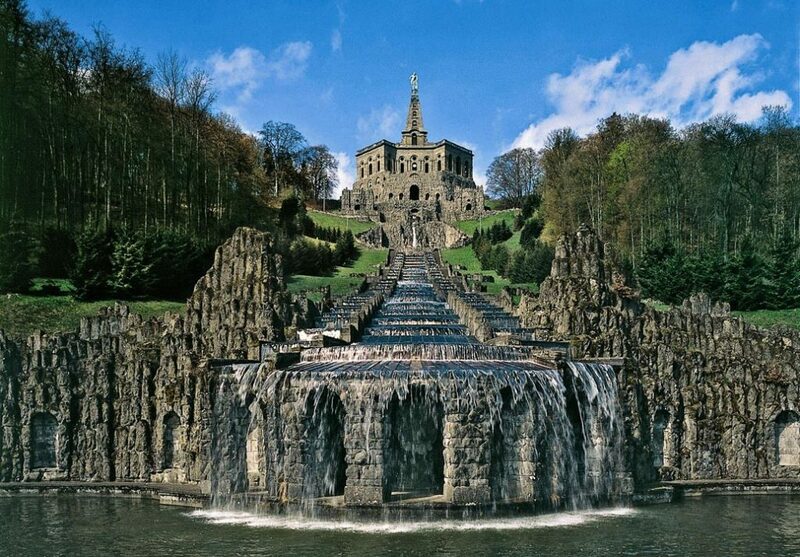 This is a museum of contemporary art that’s displayed around the city of Kassel, starting in mid-June. The topics that it focuses on are not light-hearted, and include racism, politics, and immigration. Documenta is also known as the Museum of 100 Days, as it’s on display for exactly that many days. There are, however, some permanent art displays from previous years that can be seen at any time of the year. Many artists are featured during this time, representing multiple countries from around the world. Whether you’re a fan of art or not, I think that this would be a moving and memorable exhibit to see, and worth a visit to Germany. There you have it. Our top seven places to go and visit in 2019. All with unique or rare events happening that will make your visit memorable and worthwhile. 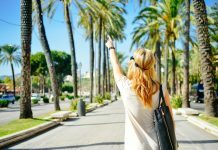 Attending or visiting any one of these events or destinations would make 2019 a great year, and gives you an excuse to either explore a new country, or to hopefully at least explore a new region. We have hopes to attend both the Women’s World Cup and the Cricket World Cup, so it’s shaping into being a great year! Are you going to any of the countries that we listed above in 2019? How about any of the specific events? Let us know in the comments!